March-Killcn.) s , made from early copper saws can often be seen on planks of timber that were converted during the Early Dynastic Period. These run across the face of the timber in all directions, which indicates that the saw blades were short. The earliest examples of copper saws were discovered by Petrie at Abydos in 1899-1902 and 1921-2 and by Professor Walter B. Emery at Saqqara between the 1930s and 1950s. 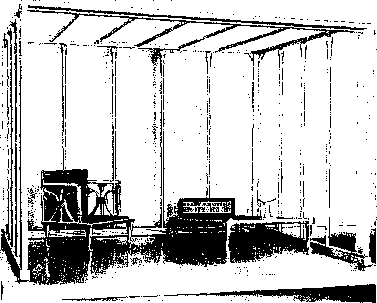 The series of mastabas Emery excavated included a burial chamber surrounded by a number of storerooms, which had contained many different funerary goods such as jewellery and household furniture. Unfortunately the tombs had been robbed during antiquity and we have no idea of the material which was removed. What is more, the robbers started fires in each room, either maliciously or for the purpose of destroying evidence of their entry. The wooden roof appears to have extinguished the fire when it collapsed into the tomb. Much of the remaining wooden material was either smashed into fragments or reduced to charcoal. Ancient and modem saw sets.